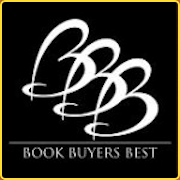 Thanks so much to the Book Buyers Best Award organisers and judges. Don’t you hate it when someone’s phone goes off at a really inopportune moment. Like during a film, or a live performance. That’s why I always turn mine off, or to vibrate. Last Sunday I was at a folk club, listening to some really good music, when the phone started to vibrate in my pocket. I quickly looked at it, which is something I don’t normally do, but I was waiting for some news. Then I had to rapidly leave the room. I had to get outside so I could jump up and down and make excited high-pitched noises without disturbing the performance. Because, you see, The Wild One has just won not one, but two awards! If ever jumping up and down and squealing were needed, this was that moment, because I was having both author excitement and fan girl excitement. 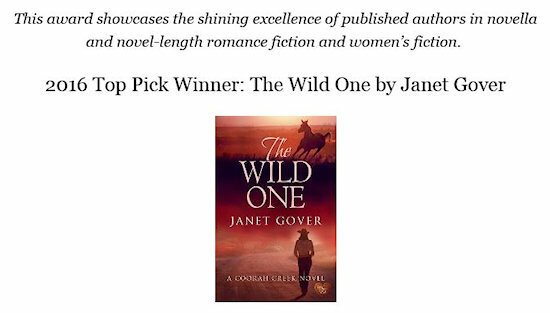 The Wild One was a finalist in the Book Buyer Best Award – sponsored by the Orange County Chapter of Romance Writers of America. The category was mainstream romantic novel, and I didn’t have any hope of winning. 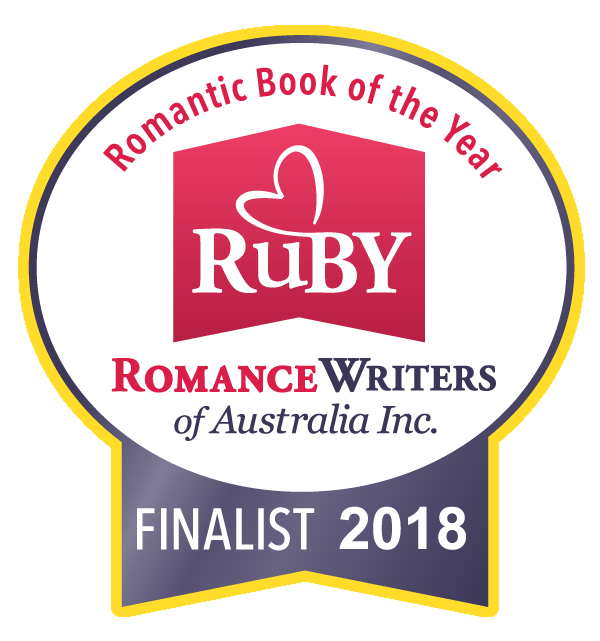 One of the other finalists was the fabulous Tiffany Girl, which won a RITA award (the biggest award in romantic fiction in the US) this year. Of course it was going to win again, it’s a great book. But it didn’t – The Wild One was named the winner. Thank you everyone who voted for it. The winner of all the BBB categories then were lined up for the announcement of the Top Pick – sort of the best in show. I certainly didn’t have a chance here. One of the other category winners was Brenda Novak. 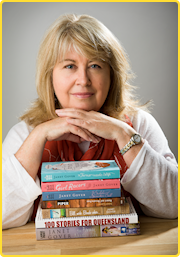 Anyone who reads my book posts will know I am a huge fan of her books. And she’s a New York Times bestselling author. Her books are so good. There was no way my book could beat anything of hers. 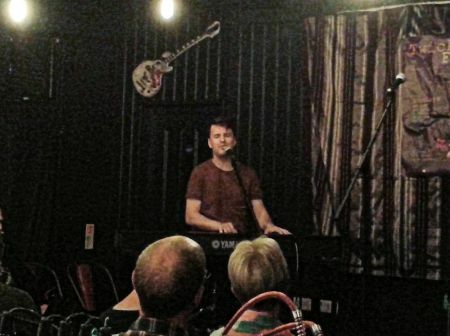 Jim Moray – well worth looking up if you like folk music. 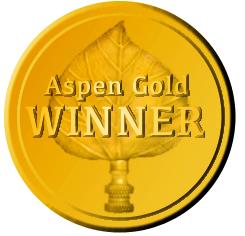 I’ve been told there will be awards sent to me – and I googled some images. They look lovely. I can’t wait to have them in pride of place in my office. Webmaster John has been tasked with building a shelf for them. I’ve never been a sporty sort of person – so I’ve never needed a trophy shelf – not until now. 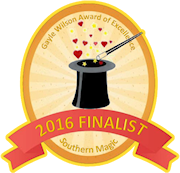 When I first found out I was shortlisted for this award, we did look at going to the US. California is lovely, and we thought about taking a short holiday and attending the awards ceremony. Unfortunately we couldn’t – and it was not as if I had any hope of winning. OK – next time (if there is a next time) I’m just going to hop on a plane, and let my credit card suffer. I’m so thrilled for you, Janet. I hope you’ll show us a photo of the shelf plus trophies, in due course.